Name Diana at Onomast. What does name Diana mean? Meaning, origin, translation, rating, popularity, code, gender and comments of the name Diana. 1. Latin name, comes from the ancient Greek word (θέαινᾰ) [theaina] meaning - "goddess; heavenly, divine"
2. Italian, Spanish etc name, means - "morning star, dawn; dartboard, reveille"
4. Form of the given name Dayana - "Keep it up!" Diana - Roman goddess of the moon, hunting, forests and childbirth, being associated with wild animals and woodland, and has the power to talk to and control animals and also of the moon in Roman mythology. 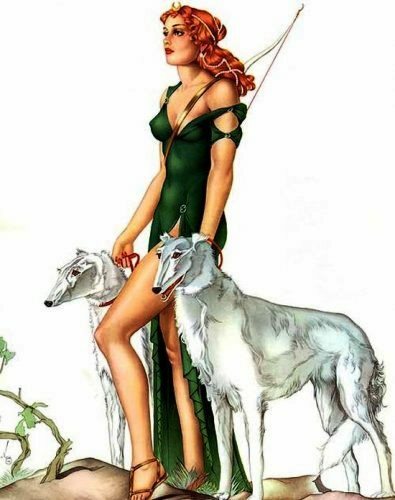 She was equated with the Greek goddess Artemis, though she had an independent origin in Italy. Diana was worshiped in ancient Roman religion and is currently revered in Roman Neopaganism and Stregheria.